Like most consumer items, the lower the price point of a phone, the less exciting the design. Obi Worldphone co-founder (and former Apple CEO) John Sculley and Ammunition design founder Robert Brunner decided to challenge that by creating mid-level, inexpensive international smartphones that look -- if not cool -- at least unique. 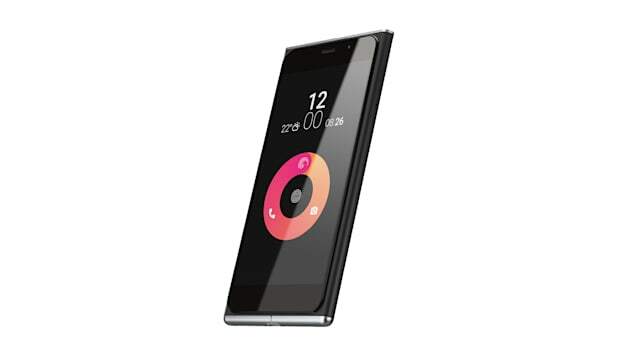 The new Obi Worldphone SF1 and SJ1.5 both start off at under $200 ($199 and $129 respectively), will be available in October and target buyers 25 years old and younger in emerging markets in Asia, Africa and Middle East. The phones are filled with components from the usual suspects (Qulacomm and MediaTek processors, Sony camera, Corning Gorilla Glass and Dolby sound), but it's the look of the phones and their skinned version of Android that matters to Obi. 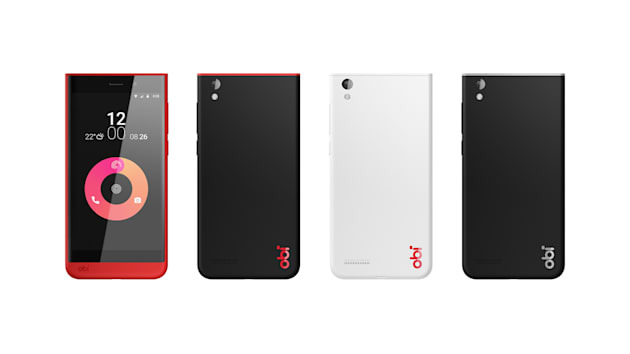 "We are committed to being a design-led company," Sculley told Engadget. It's more than just design and price, Obi Worldphones is relying on being nimble to compete against the Apple, Samsung and HTCs of the world. The company sees the size of those larger companies and their legacy as a weakness. 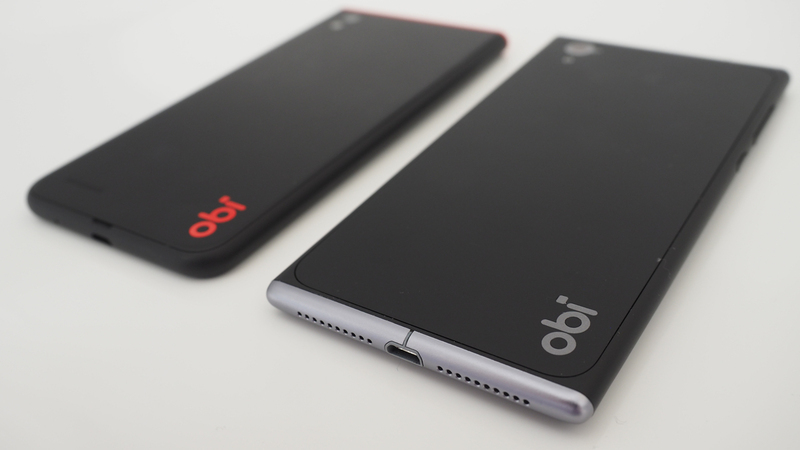 Larger companies tend to move slower while Obi Worldphones is fresh new startup with the ability to quickly iterate designs and swap out components that it believes would serve it's audience the best. But it's now going too cheap with Qualcomm, Sony and Dolby parts inside its phones. Sculley pointed out that the company would not compromise on the quality of it's phones just to hit a low price point. The SF1 with 4G/LTE sports a reinforced fiberglass body with a five-inch display and flashes for the front and back cameras. It runs a Snapdragon 615 processor and is $199 for 2GB or RAM and 16GM of storage and $249 for 3GB of RAM and 32GB of storage. The SJ1.5 with 3G houses a MediaTek MT6580 Quad-Core processor in a case available in multiple colors (red, black and white) with accents. The $129 phone comes with 16Gb of internal storage. Both phones have dual SIM slots a must for a phone launching in an emerging market. The initial countries to get the new phones will be Vietnam, Indonesia, Thailand, the UAE, Saudi Arabia, Kenya, Nigeria, Tanzania, South Africa, Pakistan, Turkey and India. The phones will be available in retail outlets and online.